It is well acknowledged that the heart of India lives in its villages and the Indian rural market with its vast size and demand base offers great opportunities to marketers. 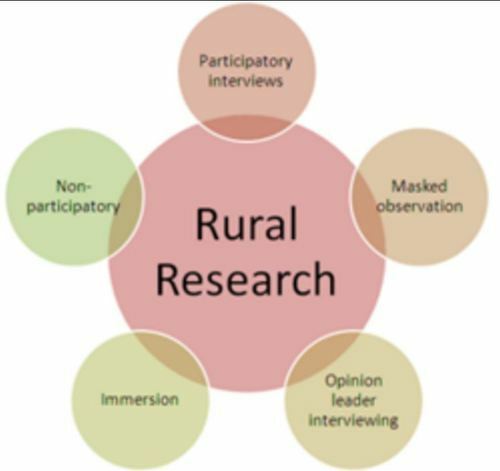 However, rural market has its own set of challenges to include localized marketing communication, distribution and logistics inefficiencies, low disposable income levels and lack of adequate infrastructure. Organizations in sectors as varied as the automobile, FMCG, banking & finance, construction materials have pulled up their socks to gain the maximum share of opportunity pie offered by rural markets characterized by large volumes and thin margins. MIC has the rich experience of understanding rural consumers for the different set of products/ services and has been instrumental in guiding its clients to make inroads into rural markets through strategies developed on the basis of in-depth primary research. A leading payment gateway service provider in India wanted to launch its suite of banking services on a digital platform by penetrating the market through existing microfinance ecosystem in the target rural locations of India. Primary research was conducted to understand the current habits of consumption of financial services and their response to digital financial services offered by the client. The study enabled the client to finalize the service option among the total suite of services and subsequently develop the market penetration strategy in the target geography.